This is an update to the Commodore 64 font that I submitted a long-long time ago. The new version will allow itself to be embedded into documents such as PDFs. I also renamed "Commodore Pixeled" to "Commodore Pixelized" after a small business complained. 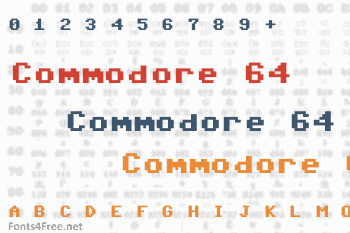 Commodore 64 Pixelized font contains 203 defined characters and 201 unique glyphs. 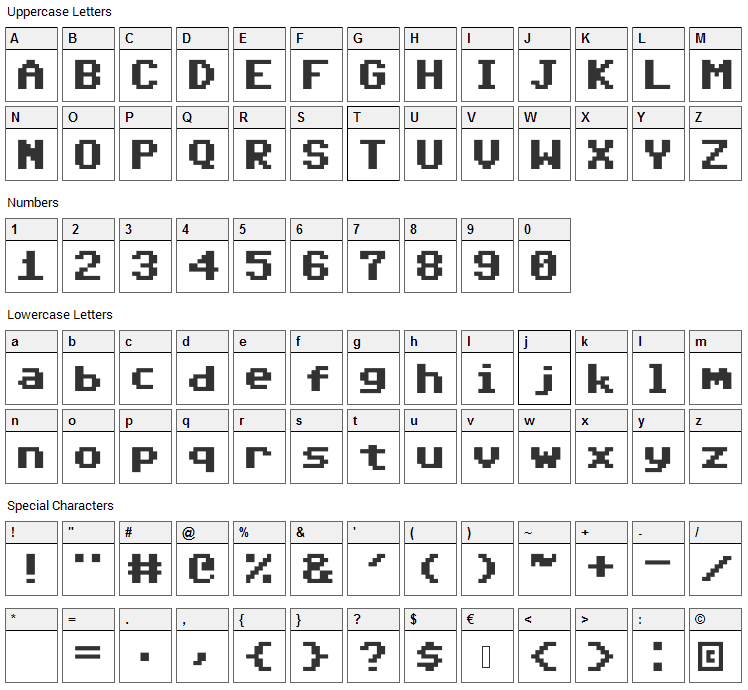 The font contains characters from the following unicode character ranges: Basic Latin (93), Latin-1 Supplement (79), Latin Extended-A (6), Latin Extended-B (1), Spacing Modifier Letters (5), General Punctuation (15), Currency Symbols (1), Letterlike Symbols (1), Mathematical Operators (1). Commodore 64 Pixelized is a bitmap, pixel font designed by Devin Cook. The font is licensed as Free. The font is free for both personel and commercial usages. In doubt please refer to the readme file in the font package or contact the designer directly from devincook.com. 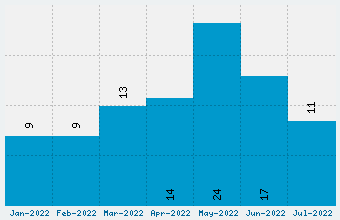 Commodore 64 Pixelized font has been rated 4.7 out of 5 points. A total of 3 votes cast and 0 users reviewed the font.